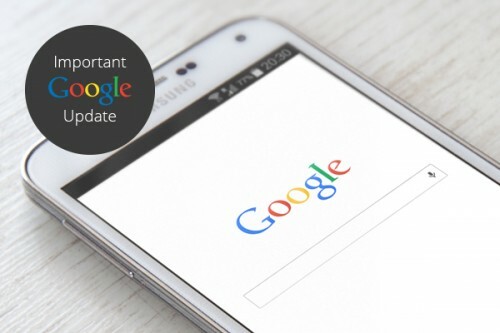 This month, Google has announced one of its biggest algorithms to date – it will now be taking into account whether your website is mobile friendly and this will have a big effect on where your website ranks in the search results. Google have said that they expect this to cause a significant impact, which means your potential traffic, sales and leads could be affected by the change. The search engine giant estimates that around 50% of internet searches are from a mobile device so if you already have a fully responsive or a mobile website, great news! You’ll already be beginning to benefit over competitiors who haven’t adopted a mobile version yet, plus you’ll be providing a great user experience for your customers. But if your website is not mobile responsive and you would like to make sure your company maintains a good position on Google search, get in touch with us to find out how we can help.